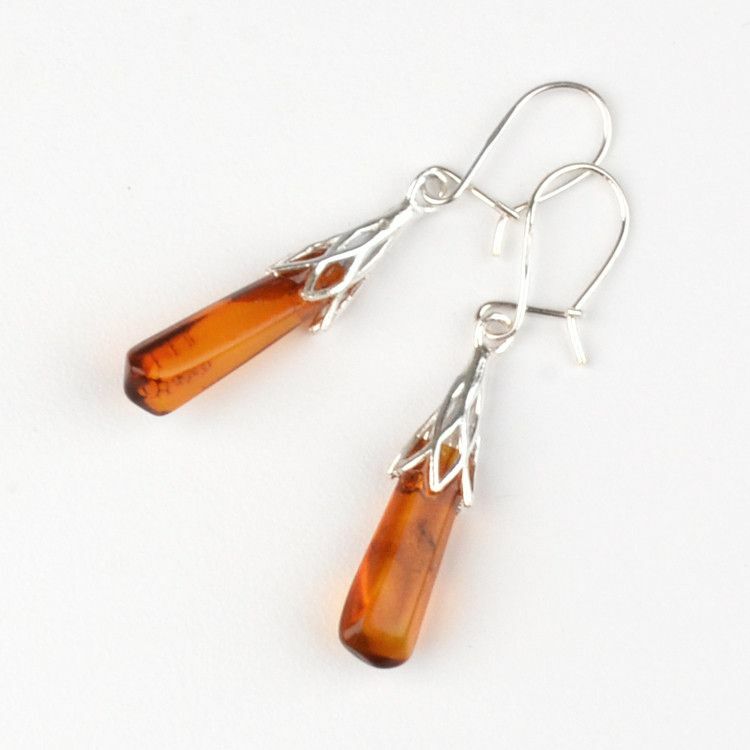 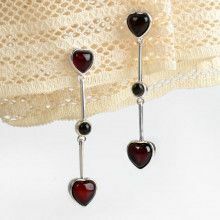 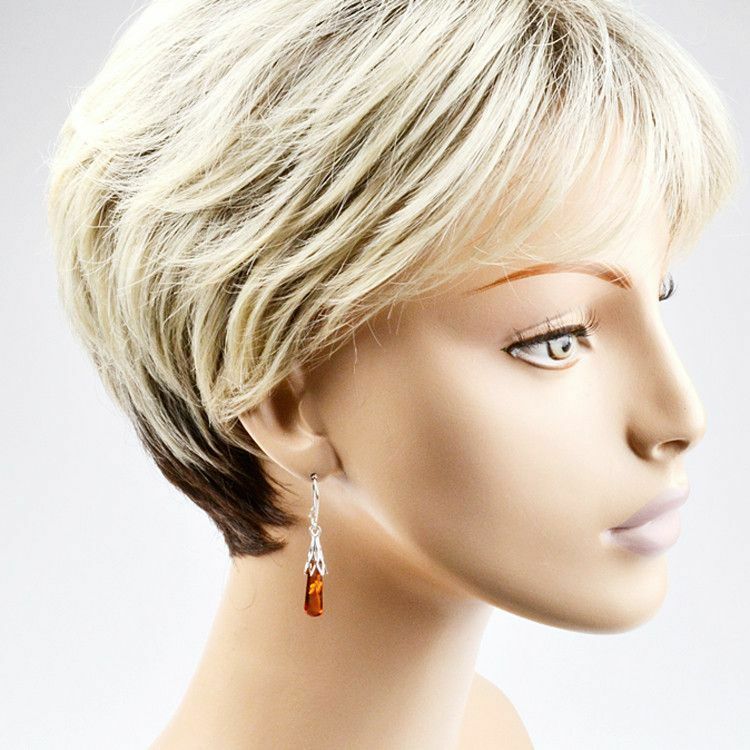 These fun and fancy drops of honey amber and sterling silver earrings are simply beautiful! 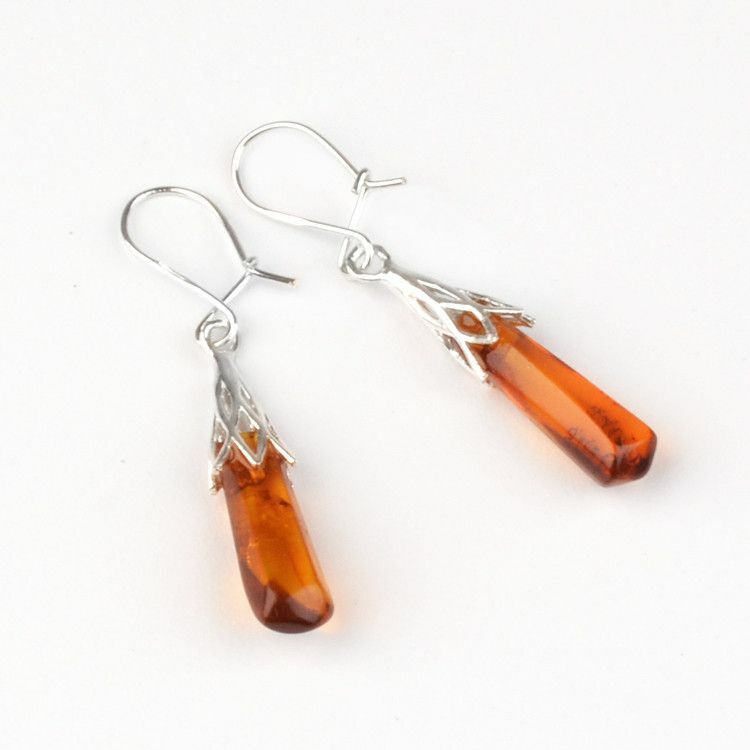 They are about 1 1/8" long and feature polished Baltic amber from Russia. 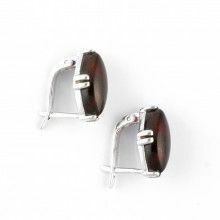 Each amber stone is unique and the size varies but generally, the stone itself is about 3/16" x 1/2" in size.